Nurture Projects Music Publishers is a small independent music label formed in 2005 that specialises in Reggae with some soul and pop genres. The team is formed with Juliet Edwards, General Manager, songwriter and Clinark, singer, songwriter and producer. They are based in London, England. IIn 2014 Nurture Projects branched out in to general project management services undertaking work in Bid Consulting, Graphic Design, Event Management and Artist Management and Promotions. 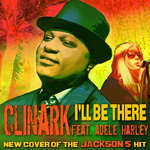 Clinark, (born Clinarke Dill) is a solo Reggae and R&B singer, songwriter, musician and producer. He was born on the British Overseas Territory of Bermuda in the North Atlantic Ocean. Dill is an accomplished artist he sang in 3 Bermuda .He briefly sang under the name of 'Dill-in-Jah' for his début solo single 'Dem Come'(2004) (Dread Unity Label).. He has been residing in the UK since.2005. “Clinark Live in Holland” (2006). “Tribute to Michael Jackson – a Legend and a Warrior”2010). “Journey to Foreign with Dubs – Deluxe Edition “(2011). Maxi Priest, Richie Spice, Luciano, Kofi, Brinsley Forde (Aswad) Gramps and Peetah from Morgan Heritage, Fantan Mojah, Irie Love and Troy Anthony. Clinark collaborated with Maxi Priest with the song “Better Tomorrow” receiving a nomination as “Song of the Year” (2009). A Tribute to Michael Jackson - A Legend and a Warrior” This album was nominated for British Reggae Industry Awards (BRIA) (2011). Journey to Foreign Deluxe Edition Album was nominated for British Reggae Industry Awards (BRIA) (2011).